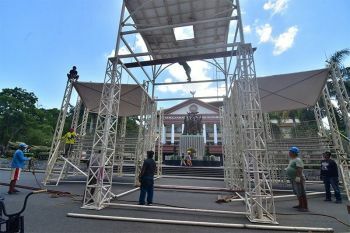 AROUND 250,000 Catholic devotees have flocked to join Cagayan de Oro City's version of “Traslacion,” or the Feast of Black Nazarene on January 9. The figures were estimated by the Cagayan de Oro City Police Office (Cocpo), with Task Force Oro and barangay officials who helped secure the peace and order. Superintendent Mardy Hortillosa, Cocpo spokesperson, said that there have been no major untoward incidents occurred during the procession that began at around 5 a.m. at St. Augustine Cathedral, and ended around 9 a.m. at the Nazareno Church with a mass. “The whole situation was relatively peaceful, although we still have to do some post-celebration checks,” he said, while adding that there were only two persons who fainted but were attended by rescuers on standby. The distance between St. Augustine and Nazareno churches is approximately 3.3 kilometers. As early as January 8 in the morning, police and military personnel have been deployed to the key areas where the procession will pass. First aid, rescuers, and fire brigades were also present during the revelry. Cellular phone signal was also temporarily cut off starting 4 a.m. of January and resumed by 9 a.m.
State security forces, Roads and Traffic Administration and other force multipliers provided area security inside the church and its vicinity including route security coverage along the major streets of the city where the procession will pass through. Cocpo alone deployed more than 900 policemen excluding personnel in checkpoints. On the other hand, over 500 barangay police helped maintain peace and order during the procession. 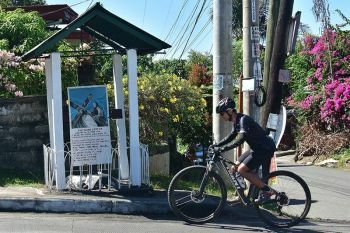 “Naa pay mga NGOs nga magtabang para ma-maintain ang kalinaw (There are also nongovernment organization who helped maintain the peace),” Hortillosa said. 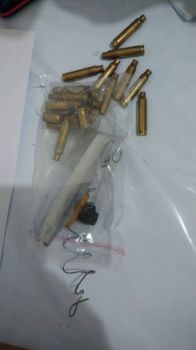 The Cocpo spokesman said the one-on-one security inspection during checkpoints was intensified including private vehicles to ensure lawless elements and individuals carrying unlicensed guns could not sneak in to the city. For devotees John Paul and Joe Mari Sarda, they offer their free photo and video documentation services as part of showing their devotion. Joebert Maceren, vowed to attend the yearly Translacion as gratitude for healing his brother from lupus. He also had his whole back tattooed based on the Black Nazarene's image. Judith Pacana, who survived a stroke, has been consistent with serving the Nazarene since it arrived in the city 10 years ago. “I believe it was a test from God, of whether I would still serve him despite of my condition. But eventually I overcome it,” she said.